Do You Think Mortgage Rates Have Bottomed Out? Current mortgage rates have risen a bit in the past months, but still remain well below their year-ago values, and are keeping millions of homeowners “in the money” for a home refinance to lower rates. Comparing to the start of last year, homeowners can purchase ten percent more home for their dollar, extending purchasing power and driving the home buying economy. The question at hand is whether interest rates will remain this low through 2015 and into 2016. After recent surveys and reports, consumers do not believe they will last much longer. The government-backed survey, known as Fannie Mae, conducted a survey with 96 percent of U.S. consumers thinking mortgage rates have bottomed out and are the best they’ll see for a while. 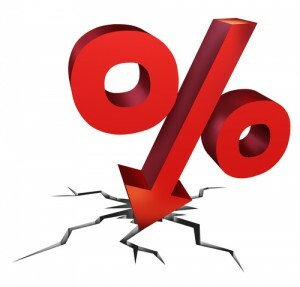 After reviewing the survey, only 4 percent of consumers believe that interest rates will lower even more this year. After mortgage rates fell below 4 percent in November last year, the average 3-=year rates remained in the 3’s through the first week of June. This has been an 8-month stretch of rates in the 3 percent category. To go along with low rates as well, 15-year rates have been in the 2 percent area, resulting in a large refinance volume climb. Last quarter resulted in the largest amount of conventional mortgages refinance loans than during any time in the last six quarters. It is also not just conventional loans remaining low; FHA, VA, and USDA loans have all remained similarly low. For the entire past year, FHA loans have remained roughly 0.25 percent lower than Fannie Mae and Freddie Mac backed loans. VA and USDA loans have remained steadily lower at an average approximately at 0.375 percent points lower. The results of low FHA, VA, and USDA loans make it simpler to refinance such loans, as their respective streamline refinance programs require minimum monthly savings. With current mortgage rates being low, it is easier to meet these requirements. Do not let the survey percentages hinder you from believing rates will continue to drop. Consumers are usually wrong about their guesses of mortgage rates. In last year’s survey, 96 percent of consumers believed that at that time mortgage rates had bottomed out and would spike coming into the second two quarters of the year. Obviously, we have seen mortgage rates continue to drop and a mini-refinance boom begin. Another thought to take away from the survey is that consumers are bullish towards the housing market. 66 percent of consumers surveyed are saying right now is the good time to buy a home. It is not tough to see why consumers are taking this outlook on the market. Cities that were the hardest hit in last decades crash, are also the ones leading the way towards this decades rebound. As compared to two years ago, in many U.S. cities, home values are up more than 10 percent and the housing market is recovering and making national news since late 2012. Cities such as Phoenix, San Francisco, and Los Angeles are the notable markets leading the charge. Single-family homes in these cities have had their values climb over thirty percent from lows. Condo’s in these markets have fared even better than homes and it is challenging to find a housing metric that doesn’t show solid annual growth. Existing home supply has remained in bull market territory, new home sales continue to expand even as prices rise, and mortgage lenders that exhibits confidence in housing, are expanding loan guidelines. With mortgage rates remaining low, purchasing power is stretched making home affordability extremely high. As we spoke about in other articles, homebuyers have access to a multitude of low and no down payment mortgage loans to help with financing, including the USDA mortgage and no-money-down VA loan. Another mortgage loan we have spoke about is the 3.5% down FHA loan that requires only a 3 percent down payment. Furthermore, more purchase home loans are getting approved than during any period since 2011, according to Ellie Mae. Buyers not only have access to low-down payment programs, but they’re having an easier time getting to closing. Mortgage rates have climbed since the start of May, but remain low as compared to most of 2014; and, as compared to history. It’s an excellent time to consider a refinance or the purchase of a new home.